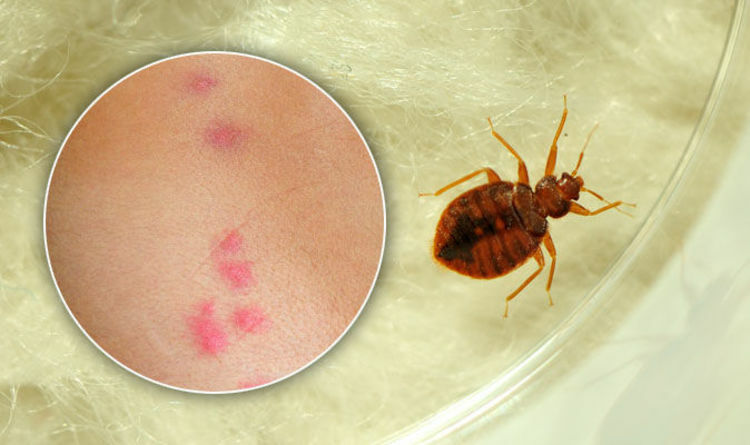 Celeb Gossip News – Bed bug bites: How to spot signs of bites – are you at risk of an infestation? Bed bug bites: How to spot signs of bites – are you at risk of an infestation? Bed bugs are tiny bloodsucking insects that creep out of their crevices at night to feed on blood, according to the NHS. They live in tiny cracks around the bedroom – usually in or around the bed frame. While bed bugs aren’t necessarily dangerous, they can be very annoying, and could leave people with a bad reaction to their bites. One of the crucial symptoms of a bed bug bite is finding itchy, red areas of raised skin. Bed bug bites appear like small raised areas that can be itchy and blistered, said pest control firm Orkin. They usually appear in a small area on the skin, and are most likely to be found on exposed areas of the body. But, the bites may not necessarily appear straight away, and it could take several days for people to be aware that they’ve been bitten. “Bites are commonly found on the parts of the body that are more likely to be exposed to bed bugs during sleep – the hands, neck, face, shoulders, legs and arms,” said Orkin. “While not always the case, bed bug bites are often grouped together in a small area and at times may occur in a line or a zigzag pattern. “Bites normally look like small, flat or raised areas that may become inflamed, itchy, red or blistered. “Since people will have various sensitivities to the bed bug’s bite, the size of the bite will vary, as well. Initially, people that have been bitten by bed bugs may develop a slight burning sensation, said Orkin. The burning area then develops into the characteristic red bumps, which are known as papules. The bites could progress to a rash, which may become infected or swollen. Speak to a doctor if the rash won’t go away, or if it becomes infected. Your GP may prescribe you antibiotics if you have a bad reaction to bed bugs. If you find that you do have a bed bug infestation, be sure to clean all bedding, curtains and clothes in hot water, and dry them on the highest setting. Vacuum the bed and the surrounding area. After finishing, empty the contents of the vacuum into a plastic bag and take it straight out to the bin. If your mattress is infested, it’s probably a good idea to just get rid of it and buy a new one. The Most Flattering Eye Shadow Color You’re Probably Not Wearing Breaking Bad movie: Will there be a Breaking Bad film? Is it in the works?